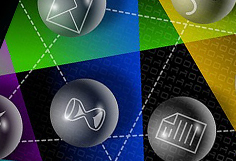 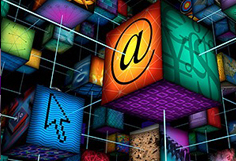 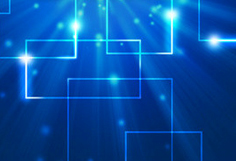 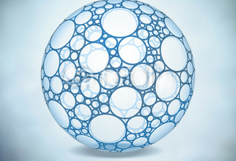 Research on fields of Data-analysis, naming-addressing-routing, security-stability-resilience. 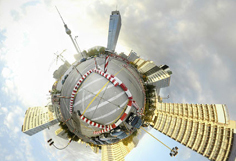 cooperative research on address allocation, address management, address administration, address identification, address security, IPv6 addresses, and related network projects. 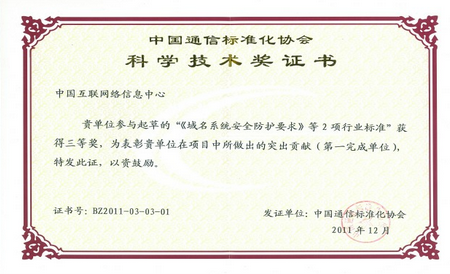 as of the end of June, 2012, CNNIC had applied for 83 programs in all, amounting to more than 46 programs for the recent two years. 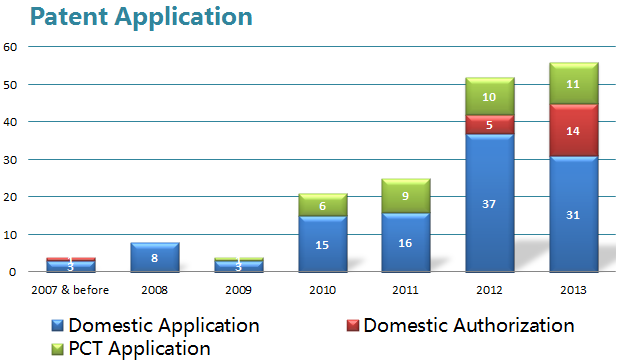 As of the end of December, 2013, CNNIC had applied for 113 patents in domestic China, 20 Domestic Authorizations and 37 PCT patents. 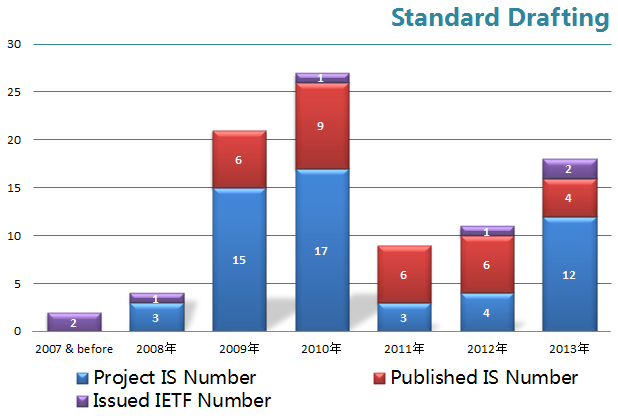 As of the end of December, 2013, CNNIC had published 31 industrial standards, 7 IETF standards, and projected 64 industrial standards. 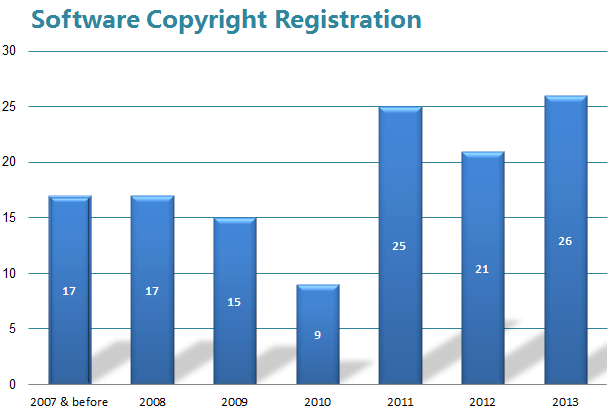 As of the end of December, 2013, CNNIC had registered 130 software copyrights. 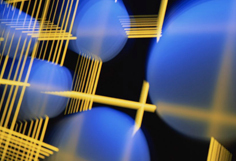 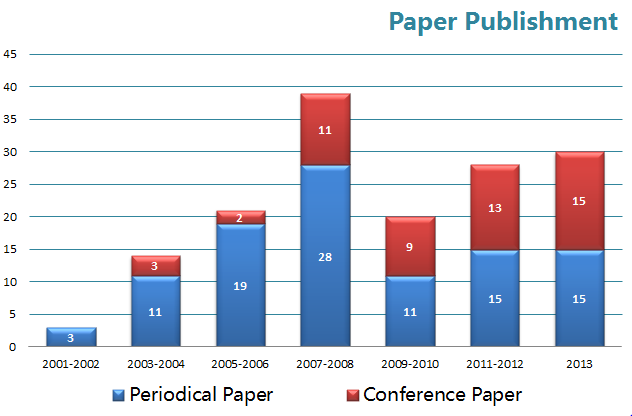 As of the end of December, 2013, CNNIC had released 102 periodical papers and 53 conference articles. 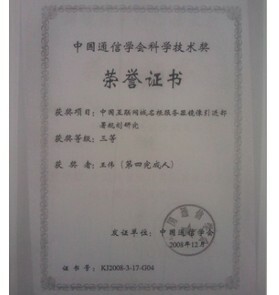 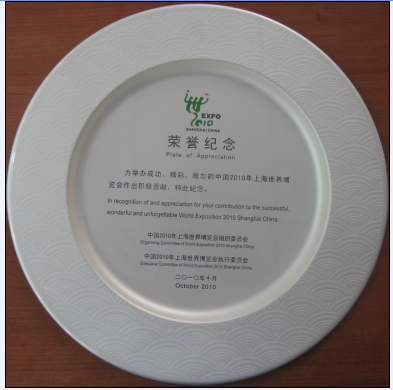 Honorary award for Expo, Shanghai, 2010.